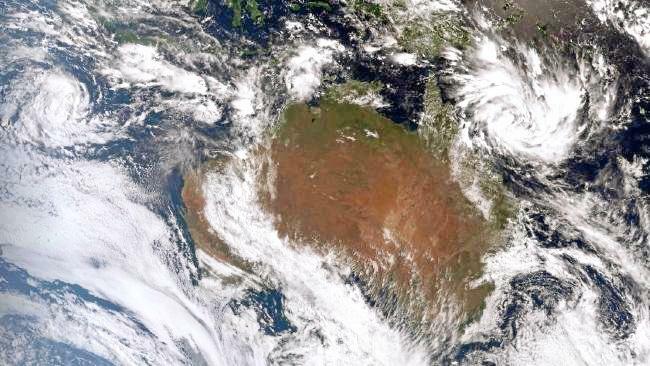 A WEATHER phenomenon moving towards Australia from the Indian Ocean could bring East Australia its first cyclone for the season. The Madden-Julian Oscillation, commonly known as MJO, is a "tropical wave" that moves around the earth and with it there is an increased chance of tropical lows in the Coral Sea. 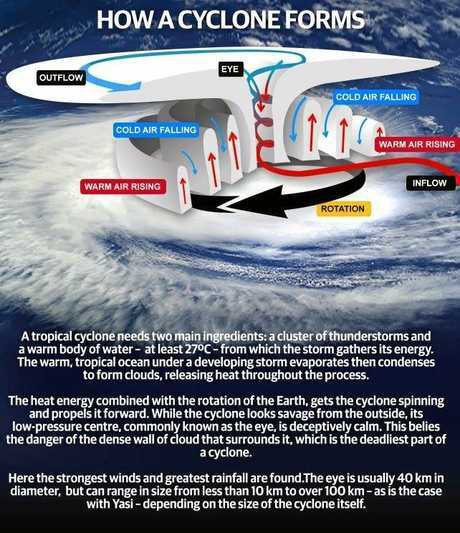 According to bureau meteorologist James Thompson, the system would increase the chance of a tropical low developing, but at this stage there was still only a small chance a cyclone would develop. The MJO is predicted to move into this part of the world in the next couple of weeks, "end of January into early February", Mr Thompson said. "In our part of the world it helps to bring the monsoon into the area which can cause tropical low development." Right now the MJO is in the Indian Ocean. Sky News meteorologist Tom Saunders said the MJO did "typically create low pressure systems". "And if they are in the right place then a cyclone could form," he said. But he said that the next phase of the MJO was not going to be particularly strong because a severe storm near Borneo was absorbing some of the MJOs energy as the weather system heads to Australia. "Next week the MJO will move below Indonesia and we will see an increase in the monsoons across the top of Australia," he said. "And if the low is in the right place it could develop into a cyclone." Right now monsoon activity is ramping up in Northern Australia, but looks unlikely to reach Mackay yet.